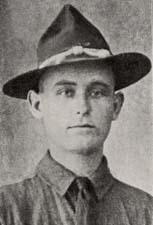 J. R. Graham Tar-Heel War Record (In the Great World War). Airmen -- North Carolina -- Biography. Medical personnel -- North Carolina -- Biography. Nurses -- North Carolina -- Biography. Sailors -- North Carolina -- Biography. Soldiers -- North Carolina -- Biography. World War, 1914-1918 -- North Carolina -- Biography. World War, 1914-1918 -- North Carolina -- Registers.